Technological advancements have pushed us ever closer to the golden era of virtual reality, but is Formula 1 really ready for it? Jonathan Noble investigates. To my left, I can hear Lewis Hamilton’s Mercedes having its final pre-practice checks as mechanics fettle with their tools. Behind me, the three-time world champion is discussing his run plan with the engineers. Moments later, Hamilton is strapped in, the car is fired up and he is off in a cacophony of noise that reverberates around the walls. As the car fades out of earshot, all that remains is a quiet huddle of team members chatting in one corner before they move back to their positions in the garage. Except this is not a real garage. 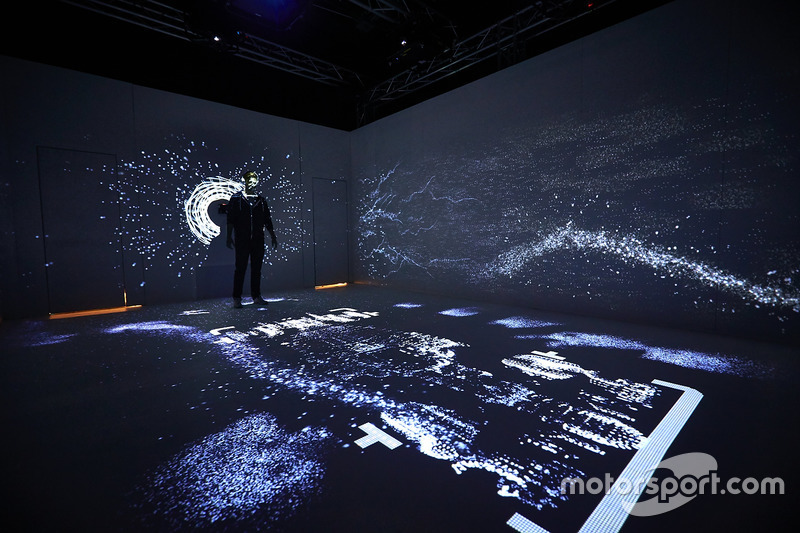 Instead, it is a darkened room in an industrial unit in downtown Austin that was transformed by Mercedes and sponsor Bose last year to create an Augmented Reality/Virtual Reality Garage Experience. The noises were fed via wireless headphones as visitors walked around the virtual garage to listen in – with lights on the floor offering a reference point for where things were inside the garage. 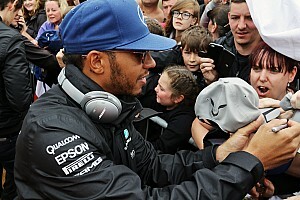 It offered an all-new way of experiencing F1, and the lengthy queues as 4000 fans shuffled their way through over the Austin GP weekend showed they were lapping up. 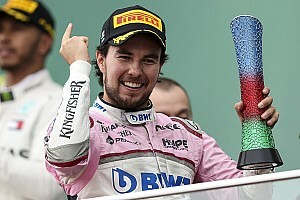 The success of the Mercedes/Bose venture proved how grand prix racing can use AR and VR to bolster many of F1's unique selling points, and why F1 is such a ripe environment to exploit this area. 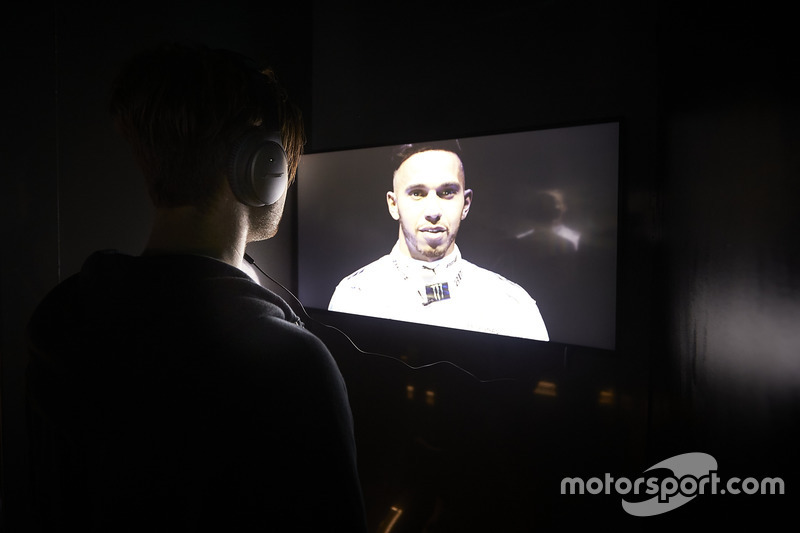 But at a time when consumer electronic companies are pushing hard on the VR front, is F1 really ready for it – and do we really want a dystopian future of fans in grandstands all sat with headsets on rather than seeing the live track action with their own eyes? For Bose, as an audio company, having a virtual experience based around sound rather than visuals was essential, but its motivation for creating the project was the same as anyone pushing on the VR front - to deliver something that goes beyond being just a thumb stopper on a smartphone screen. As Ian McGibbon, Bose's global marketing chief, explains, what F1 fans want is something unique that goes above and beyond their mobile device. "I think the consumer is after personal experiences first and foremost," he said. "But they always like behind the scenes too – so a peak behind the curtains scenario. "What you watch on YouTube and Facebook is great and engaging, but people still want a physical experience. I think that is the way it will continue to go. It will be more and more about an engaging experience, but physical as well." Indeed, as technology advances, we are moved back to experiences that revolve around our senses. No longer is a computer keyboard the way to interact with the world. As Mehul Kapadia, head of F1 business at Tata Communications, said: "What technology is doing is taking us back to basics. "With iPhone we have gone back to touch - which is so natural to us, rather than typing on a computer. What is happening at home with Amazon's Alexa and Google, it is taking us to voice, which is that much more basic than touch. Technology is becoming more and more accessible for generations of people." With our senses being harnessed again, the sound and visual possibilities of AR/VR are increasingly important. But for a sport to succeed in this area it has to go beyond that. 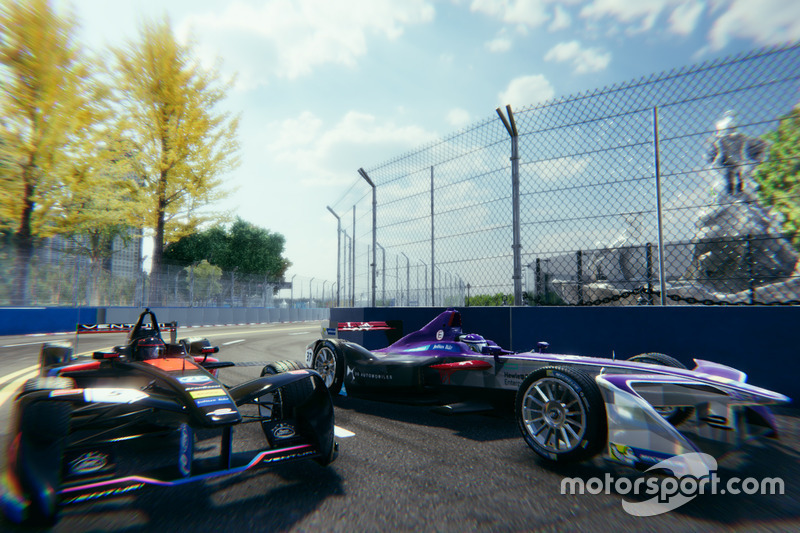 Formula E has formed a partnership with VR company Virtually Live – which offers fans the chance to experience everything you would normally get at a racing event. As well as watching track action, they can meet friends in the pitlane or hospitality unit, play pool in the VIP room, transport themselves to watch from a grandstand or even go on-board with the drivers. Gaming has been introduced for this season, too. There is also a Director application – where fans can take control of the CGI footage and examine angles or replays from the perspective they want or that may have been missed by television cameras. Virtually Live's Sports Rights and Partnership Advisor Oliver Weingarten said he was encouraged by where the VR market was heading. "We're seeing the number of headsets increase at a good rate, bearing in mind where we are with technology and the fact it is early adoption," he said. "The numbers released by PlayStation are extremely positive. "Our belief is that the users want content, engaging content, and it is about trying to provide them with what they want. We don't want people to just come in on race day and watch the action – we want to provide them with something immersive and social." The dilemma sports have to face though is whether to invest in technology that the majority may be slow to adopt – and whether consumers will ultimately keep faith in televisions for live events. 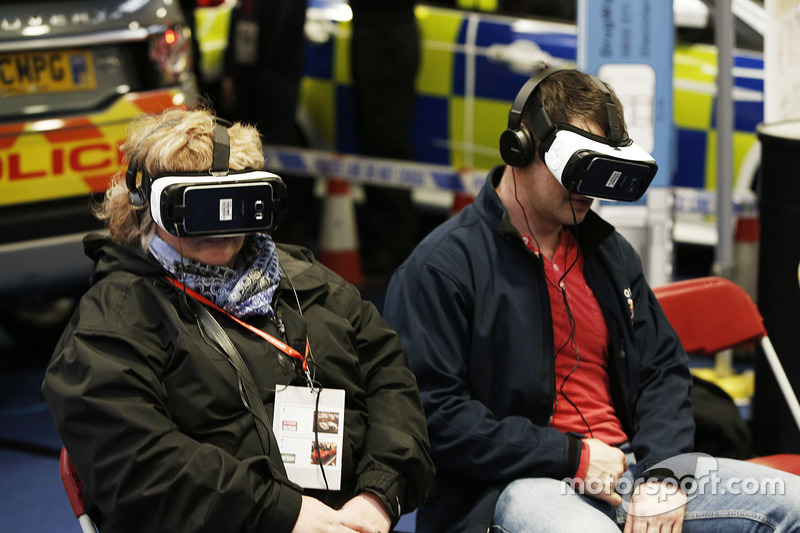 It is also unlikely that fans will want to carry their own VR headsets to races, to sit on grass banks in their own virtual worlds to consume F1 that way. The attraction of VR is more likely to be as an add-on, than an essential part of a Sunday afternoon. 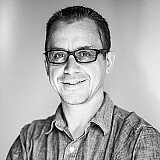 McGibbon added: "I think for sports like F1 and other global big traditionally broadcast sports, the sports have to get clever about how they are connected with people. Although there is still a huge market for sitting down in front of the television on a Sunday afternoon to watch F1, that is not everybody's lifestyle. "In 5-10 years' time, as technology and devices become much more connected, then sports and music have to understand where it goes - and delivering content where and when people want. And it is about what I want. What you want may be something a bit different." "If you go to a football match, live screens play a big role," he said. "You would never want the full experience to be diluted by technology, otherwise we may as well stay at home. But in F1 there is often one and a half minutes of silence, so how do you fill in that gap? "The base layer of TV at home also won't go away and there are generations of people who still want it. People still want a primary screen but behaviour has changed to 'I will save it and watch it some other time'. "We also want it to become more interactive. We want to know, after it is off the screen, what happened – like what if you had the view of Alonso's crash last year? Not everything has to happen in real time. "Sometimes we try to solve too much stuff. It doesn't need to be 90 minutes of VR non-stop as you would probably faint! It can be bite-size. You can get your fix for the day from that." 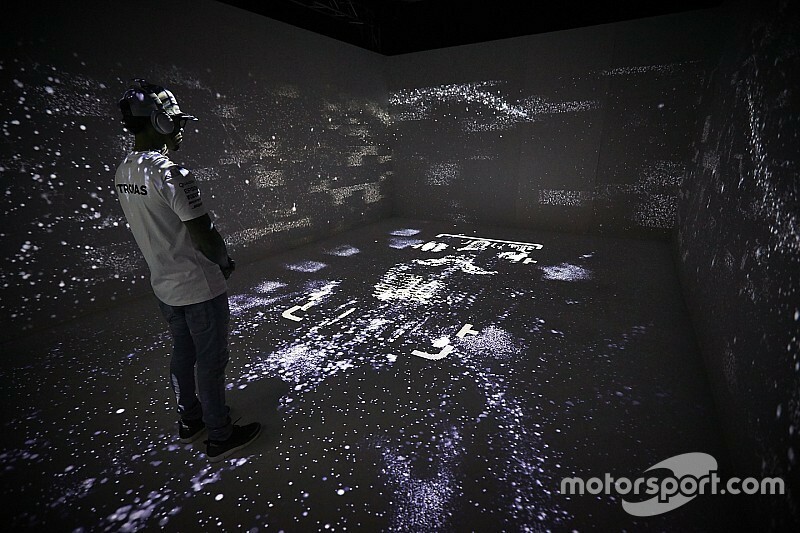 While the jury is out on whether F1 is ready – or even needs – a fully live VR experience, it is not stopping it pushing ahead with plans that can work alongside the television coverage. And there is talk that within a year or two there could be scope for fans to sit at home and take part in online F1 races themselves. Last year's F1's chief technical officer John Morrison revealed that a lot of work was taking place behind the scenes to get ready for when there is alignment between what the sport can offer, where technology is at and what the consumer actually wants. But one of the biggest hurdles standing in the way is getting GPS accuracy good enough to make the experience glitch free – and right now it is some way off. Morrison said last year: "We have produced an interactive on board application and we launched our virtual Grand Prix channel [in 2016], which isn't available to the public but gives us the platform to produce a fully virtual version of the race live using the data. "But one of the areas we have to crack is getting more accurate positioning. So we have launched a big project to get more accurate positioning and then we can do the gaming stuff. "I think we are two years away from that. But we need centimetre accurate positioning, because then we can demonstrate cars are not touching when they are actually apart. Right now, we are 100mm-200mm accurate." 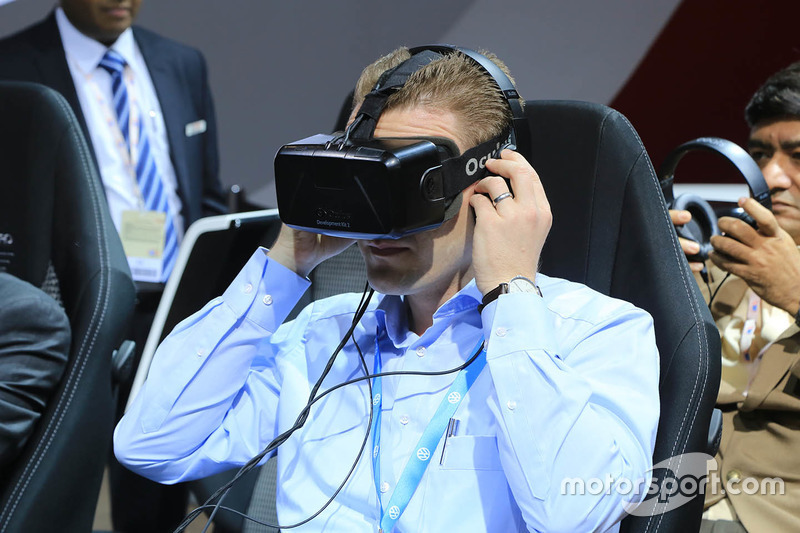 It is clear that F1's future will not just be on available to those on VR. It needs to cater for all types of audiences – be it those at the track, those happy to watch it on their television in the lounge, or those that want something deeper on a second or third screen. And perhaps most important of all, it will be about delivering the content that people want exactly when they want it. Kapadia added: "The experience of technology will have to combine with the experience of racing as well. Beforehand you could do the racing experience and not worry about the technology. "I think now it is as important as cars going faster. If you consider great racing action and great means to deliver it to audiences, that is where the real punch is. Because I can connect 24/7 you don't get me for two hours. "What Netflix cracked the code on was to ensure that when you want it, you will get it. Live sports still faces that challenge of, is it interesting enough after I already know who has won?" F1's answer to that is definitely yes. Now it is about building the momentum to deliver what fans want.